Every relationship falls on hard times. Some get through it. Some don’t. I’ve always wondered what the difference was between those who make it and those who don’t. Was there a secret to the “getting through” or a trick that some learn and others don’t? Below is an article written by Linda Carroll describing the five stages of love. The first stage, [the Merge] fueled by a delicious and powerful love potion and marked changes in brain chemistry itself, causes people to become obsessed with the wonder and delight of their new partner. Its as though a veil covers our rational brain, and all we can see is what is magical about this person and the relationship. The seductive power of this stage may also cause us to fall in love with an inappropriate partner. With consciousness and effort, we can choose what to do with our feelings. Do we fan the flames of a potentially dangerous fire, or do we control our passion and turn our attention elsewhere? 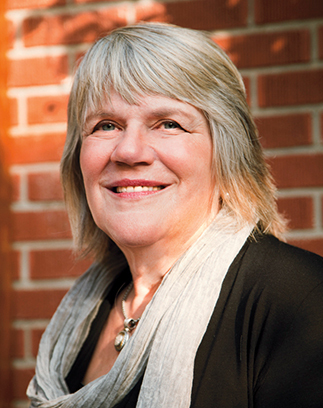 Linda Carroll is the author of Love Cycles. A couple’s therapist for over thirty years, she is certified in Transpersonal Psychology and Imago Therapy and is a master teacher in Pairs Therapy. She lives in Corvallis, OR, offers workshops across the country, and is a frequent speaker at Rancho La Puerta in Tecate, Mexico. Visit her online at www.lovecycles.org. Adapted from the book Love Cycles: The Five Essential Stages of Lasting Love ©2014 by Linda Carroll. Published with permission of New World Library www.newworldlibrary.com. Ms. Carroll writes about this topic with compassion, great understanding, and eloquence. Her book was not only interesting and helpful, but enjoyable to read and an intriguing look into how people love. 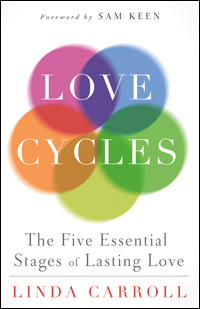 If you’re looking for some inspiration to help you along the path you and your partner are travelling, I recommend Love Cycles. As I’ve learned, it’s not about getting through it so that everything will be alright on the other side. It’s about going through it together and each person working from the inside out. This entry was posted in Uncategorized and tagged counselling, couples, love, marriage, personal growth, relationships, Reviews & plugs, romantic love on November 11, 2014 by Nancy.